284 pages | 11 Color Illus. | 112 B/W Illus. From the spontaneous rapid firing of cortical neurons to the spatial diffusion of disease epidemics, biological systems exhibit rich dynamic behaviour over a vast range of time and space scales. 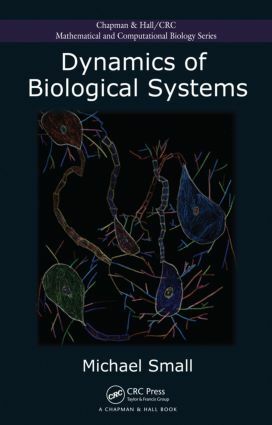 Unifying many of these diverse phenomena, Dynamics of Biological Systems provides the computational and mathematical platform from which to understand the underlying processes of the phenomena. Through an extensive tour of various biological systems, the text introduces computational methods for simulating spatial diffusion processes in excitable media, such as the human heart, as well as mathematical tools for dealing with systems of nonlinear ordinary and partial differential equations, such as neuronal activation and disease diffusion. The mathematical models and computer simulations offer insight into the dynamics of temporal and spatial biological systems, including cardiac pacemakers, artificial electrical defibrillation, pandemics, pattern formation, flocking behaviour, the interaction of autonomous agents, and hierarchical and structured network topologies. Tools from complex systems and complex networks are also presented for dealing with real phenomenological systems. With exercises and projects in each chapter, this classroom-tested text shows students how to apply a variety of mathematical and computational techniques to model and analyze the temporal and spatial phenomena of biological systems. MATLAB® implementations of algorithms and case studies are available on the author’s website. Michael Small is a professor of mathematical modelling and director of the Phenomics and Bioinformatics Research Centre in the School of Mathematics and Statistics at the University of South Australia (as of October 2011). He was previously an associate professor in the Department of Electronic and Information Engineering at Hong Kong Polytechnic University. His research interests include nonlinear time series, chaos, and complex systems.